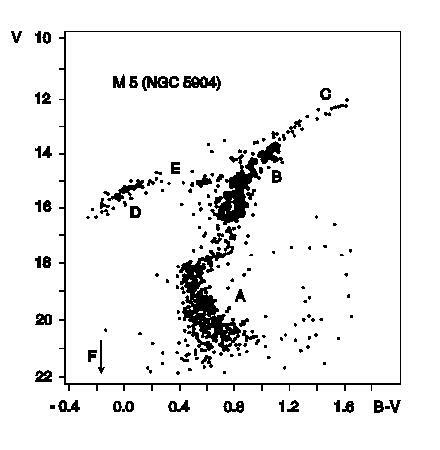 Plotting a relation between visual magnitude (V) and color index (B-V) for individual stars of the cluster M 5, one obtains this picture of an old, distorted apple-tree with only two branches. It is, nevertheless, the Tree of Knowledge for astrophysicists. (F): White Dwarfs (below the arrow).